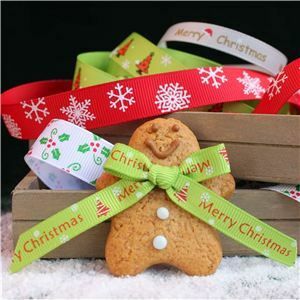 Go Grosgrain this Christmas with this new range of ribbon. Choose between 9mm or 15mm widths, with holly, christmas trees, snowflakes or the selection of Merry Christmas messages. We are sure these will make a perfect christmas!